We recently hosted a twins’ 5th Birthday Party for 35 children and their parents in our Top Studio. The party entertainer provided a mixture of magic, comedy, disco and games and was thoroughly enjoyed by the children and adults alike! The children then took time out to re-energise with our food and drinks. 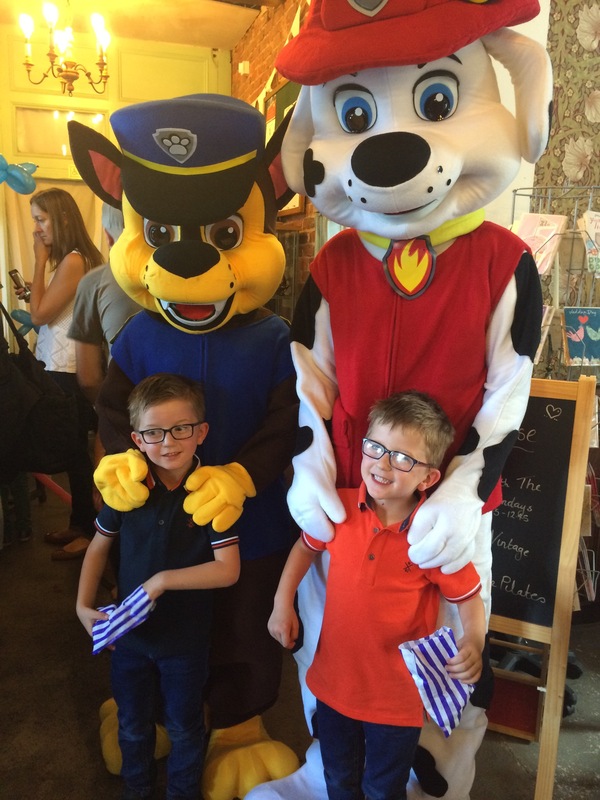 The party was finished off with a meet and greet from Chase and Martial of Paw Patrol, and a real life Sweetie Kart!